Cockburn Sound is the site of the largest known aggregations of pink snapper in the West Coast Bioregion and is critical for sustaining adequate breeding stocks of these long-lived and slow- growing fish. It is illegal to be in possession of pink snapper while fishing in the waters of Cockburn and Warnbro sounds during the closed season. However, pink snapper taken outside the sounds may be transported through, and immediately landed within, the area during the closed season. The waters north of Bernier Island, including Koks Island, will be closed to pink snapper fishing during this annual peak spawning period in the Gascoyne. It is illegal to fish for pink snapper, or be in possession of pink snapper while fishing, in the closed waters during the closed season. 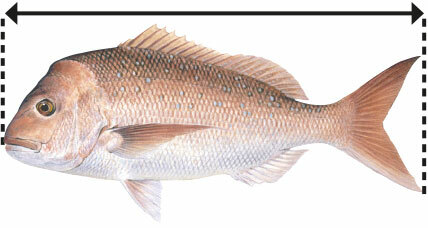 Fishing for other species from boat is allowed as long as there is no pink snapper on board. However, pink snapper taken outside the closed area may be transported through or be on board your vessel when seeking safe anchorage, as long as no line fishing is undertaken. Shark Bay is an important breeding aggregation area for pink snapper. Pink snapper in Shark Bay's three inner gulfs don't interbreed with each other or the wider-ranging oceanic population. The inner gulf pink snapper stocks are small compared with the oceanic stock and stocks elsewhere in Australia and New Zealand. Being small and reproductively isolated makes these inner gulf stocks particularly vulnerable to overfishing. The management zone extends to the gulf side edge of Useless Loop Road and Shark Bay Road. If you are travelling on these roads you may have up to 20 kg of filleted fish in your possession, so long as you don't leave the road and enter the management zone. 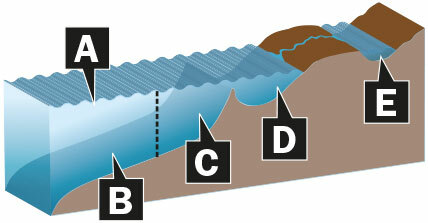 A recreational net fishing licence is required for haul, set (gill) or throw (cast) netting. A licence is not needed for crab drop/scoop netting or prawn netting, unless you’re fishing from a powered boat, or with the use of one, in which case a Recreational Fishing from Boat Licence (RFBL) is required. Recreational net fishing is only permitted in WA's ocean and estuarine waters, not in fresh water, and most of WA's estuarine waters are closed to protect juvenile fish stocks. There are general rules that apply to all three forms of recreational net fishing however, due to the differing gear and techniques used, there are also rules specific to each type of recreational netting. See our Recreational net fishing guide for details.